ACABADOS PEGASA. Pegados: refuerzos en pieles, tejidos y piel sintética. Recubrimientos: termoadhesivos, autoadhesivos y foamizados. Amplia gama de forros y entreforros. Látex Elastic System®: Sistema ecológico de pegado de pieles. OutDry: Sistema de impermeabilización de calzado. The fashion in search of comfort, emerges naturally full of comfort and for a society increasingly urban and cosmopolitan. The new materials on which we work today have greater flexibility, lightness and durability, fitting perfectly on the foot . No doubt the future of the shoe is strongly linked to the implementation of Latex in all its components. Pegasa is a next generation company, which combines a high quality finishing products and high efficiency in the services it offers. 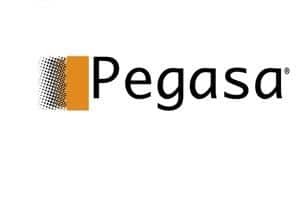 The company PEGASA offers a wide range of services and products for coating and finishing materials used in the footwear industry and construction leather goods. Productos destacados : Forros textiles transpirables, microfibras.